(1935) 12 CHAPTER SERIAL. Kane Richmond, William 'Stage' Boyd. One of the most amazing movies of all time. Ludicrous acting, incredible lab scenes, inane dialogue, all weaved together in the purest camp style possible. 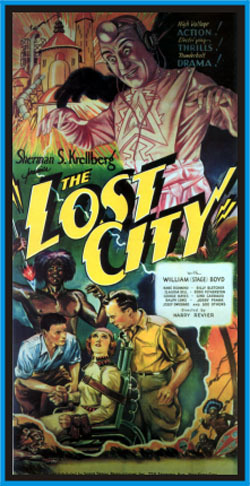 An electrical madman in a lost jungle citadel causes world wide havoc and destruction.